Why Do I Have to Replace a Back Tooth? Many patients think that missing teeth that aren’t visible when they smile don’t need to be replaced, but tooth replacement is about much more than just the way your smile appears. There are a number of oral health concerns that can arise when patients neglect to replace even a single missing tooth. 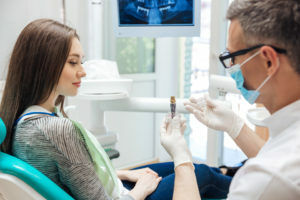 In this post, we’ll discuss some of the many ways that foregoing tooth replacement can adversely affect your oral health. Comments Off on Why Do I Have to Replace a Back Tooth? If you’ve invested in dental implant retained restorations, your new smile should stay whole, healthy, and properly functioning for two or more decades. Unfortunately, some patients are not so lucky. When the dental implant tooth replacement process is completed correctly or implants aren’t cared for properly, the result can be a loosened or failing implant. Keep reading to learn more about the causes of loosening dental implant posts and how to talk to your dentistry team about dental implants. Replacing a missing tooth or missing teeth is more than a matter of appearances—although that is certainly an important consideration. Dr. Thomas Neslund and the team at Carlisle Family and Cosmetic Dentistry in Carlisle, PA, want you to be comfortable with and proud of your smile. 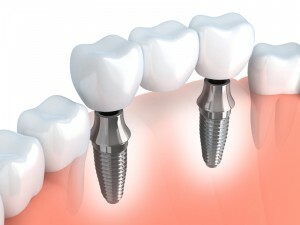 But in addition to that there are oral and general health concerns that make tooth replacement all the more important. Did you know, for example, that having one just missing tooth can lead to the development of gum disease or symptoms of TMJ (temporomandibular joint) disorder? And because missing teeth may making chewing difficult, some people actually are malnourished as a result. For these and other reasons, Dr. Neslund wants you to know about your tooth replacement choices at our office. One is certain to accommodate your lifestyle and your budget. There’s a variety of reasons why people have missing teeth. Maybe you had an injury as a young child and haven’t been able to receive proper treatment. Perhaps some teeth didn’t grow in correctly and are causing problems when you bite down or chew your favorite foods. No matter how you lost your teeth, the important thing to know is treatments are available when you come to our office in Carlisle, PA and meet with cosmetic dentist Dr. Thomas Neslund. A smile is meant to be shown, not hidden. If you find yourself hiding your smile more often than showing it off, it’s time to receive the treatment you deserve with dental implants. Though they offer somewhat of the same benefits as a dental bridge, they are different. 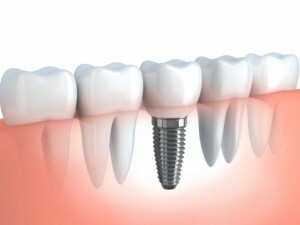 More and more patients are choosing dental implants to solve their missing teeth woes. Could this type of treatment benefit you? You’re about to find out. If you have one missing tooth or more, then you know the difficulties of the situation. Activities that you used to take for granted suddenly become difficult. Perhaps you are unable to eat some of your favorite healthy foods, such as fresh apples and carrots. Or maybe your speech has become compromised, and more than likely you and everyone else can see the difference in your smile. Fortunately, there is a lifelike solution. Dental implants from Dr. Thomas Neslund at Carlisle Family and Cosmetic Dentistry, Carlisle, PA, restore a tooth from root to crown, making them the ideal choice for a healthy and natural-looking smile. When you visit Dr. Neslund to consider dental implants, he and his staff will first examine and assess the health of your teeth, gums and bone tissue. If all of these prove to be healthy enough to support a dental implant, then you’ll be on your way to restoring your smile. The first step in restoring your complete smile with a dental implant is a minor surgical procedure in which Dr. Neslund implants a titanium post in the bone beneath the open socket of your missing tooth. This posts mimics the role of a tooth’s root. As you heal from the surgery, the post and the surrounding bone go through a process called osseointegration, whereby the post and bone fuse together to create a firm foundation. This fusion between post and jaw bone also helps to prevent bone loss and maintain facial appearance. After a few months, you’ll return to our office. Dr. Neslund will uncover the implant and attach an abutment that will initially hold a temporary crown and ultimately the permanent crown—your new tooth. With proper dental hygiene, including brushing, flossing and regular checkups, your dental implants should last a lifetime. If you would like to learn how dental implants can restore your smile, call the office of Carlisle Family and Cosmetic Dentistry today and schedule a consultation with Dr. Neslund. We serve patients in Carlisle, PA, as well as Mechanicsburg, Camp Hill, Boiling Springs, Shippensburg and the surrounding communities. Dr. Thomas Neslund graduated from Indiana University of Pennsylvania in 1986 with a BS in Natural Sciences and a minor in Economics. While attending IUP, Dr. Neslund played soccer 4 years for the Crimson Hawks. Receiving his DMD degree from the University Pittsburgh School of Dental Medicine in 1990, Dr. Neslund took an interesting path to start his career. That year, he was commissioned in the US Public Service, Indian Health Service. If you are in Carlisle, Mechanicsburg, Camp Hill, Boiling Springs, Shippensburg or surrounding Pennsylvania communities, contact Carlisle Family and Cosmetic Dentistry for an appointment today. Let Dr. Neslund show you what he can do for your smile.